15 DIY Galentine's Day ideas! Whether you’re married, in a relationship or as single as I am, Valentine’s day is a day for letting people know they are loved. You don’t have to be in love to love someone and Galentine’s Day is the perfect opportunity to let your girls know how much you care. Galentine’s day was started by Parks and Recreation’s Leslie Knope and is known as a girls only Valentine’s Day celebration. I’ve decided to host a surprise Galentine’s Day party for my roommates and I can’t wait to share all of my DIY projects. So let’s jump on the Leslie Knope bandwagon and get started! My roommate Mackenzie and I decided to host a mocktail pizza party. We’ll all dress up for a night out and stay in drinking mocktails (non-alcoholic cocktails) and eating cheap pizza. What can I say? We’re poor, starving college students so pizza is pretty fine dining! We’ll finish off the night changing into pajamas and watching Nicholas Sparks movies after dragging all our mattresses into the living room for a mega bed sleepover. Cheap, easy and so much fun. Of course everyone’s Galentine’s Day party will be unique but no matter what, it should include quality bonding time and lots of good laughs… and food. Food is always a plus. You’re never too young and you’re never too old for a good time with your girls! The first step is picking a theme or activity so here are 10 ideas to get you started! Craft night: This would definitely be our theme if I was home with my sisters. We love all things DIY and have spent many nights bonding over craft projects and chick flicks. You can make Valentine’s for family members, friends and even strangers. Or you can each bring your own projects and work on them together. Pinterest is full of fun craft projects so be creative and have fun! Spa night: You can’t plan a girls only party and not at least consider pampering each other with a spa night. If you don’t have a lot of money to go out and get your nails done and hair fixed, don’t worry. As a poor college student I have lots of experience with having a good time on a dime. The dollar store usually carries tons of different colors of nail polish, Walmart sells 2 for 5$ face masks and Pinterest is full of DIY hair treatments. One of my favorite hair mask recipes simply requires blending up an avocado and an egg and mixing it together with olive oil. Leave it in overnight and your hair will be more conditioned than ever before! Bake off: If you and your friends love to bake why not have a baking competition? Have a few ingredients on hand and see what clever creations you can think up. Make it a competition or just enjoy each other’s company. If you don’t have enough time to bake all together, invite everyone to bring their favorite treat. You can’t go wrong with eating desert all night! Shop till you drop: Most of us enjoy a good shopping trip with our friends. If you’re tight on money you could always go to your local thrift store. If you’re wanting to have a few good laughs, take time picking out the craziest outfits for each other, then show them off with a fashion show. Mocktail Pizza Party: I had to add this to the list in case you only read the bolded words. Like I said before, I’m planning an awesome Mocktail party for my roommates and having cheap pizza for dinner. We’ll dress up for a night out to stay in. After dinner come the pajamas and our mattresses are going in the living room for a mega bed, chick flick watching sleepover. Waffle party brunch: If you have plans later that night then maybe a Galentine’s brunch is the perfect option for you. Of course any food will do but who doesn’t love waffles? Cut them into the shape of hearts for a little Valentine’s flair and you’ve got the easiest Meal yet. Add a few toppings and you’re set. Sit and eat, talk and catch up with your best friends. A night of Service: What better way is there to celebrate love than to share a little? This activity might take a bit more research on your end but you can find local humanitarian or community centers that might be in need of supplies. Whether that’s putting together kits, or baking goods for a homeless shelter, you and your girls can bond over some good conversation while helping someone who needs it. If you’re interested in quilting or making blankets, here is a great resource for giving to those in need. 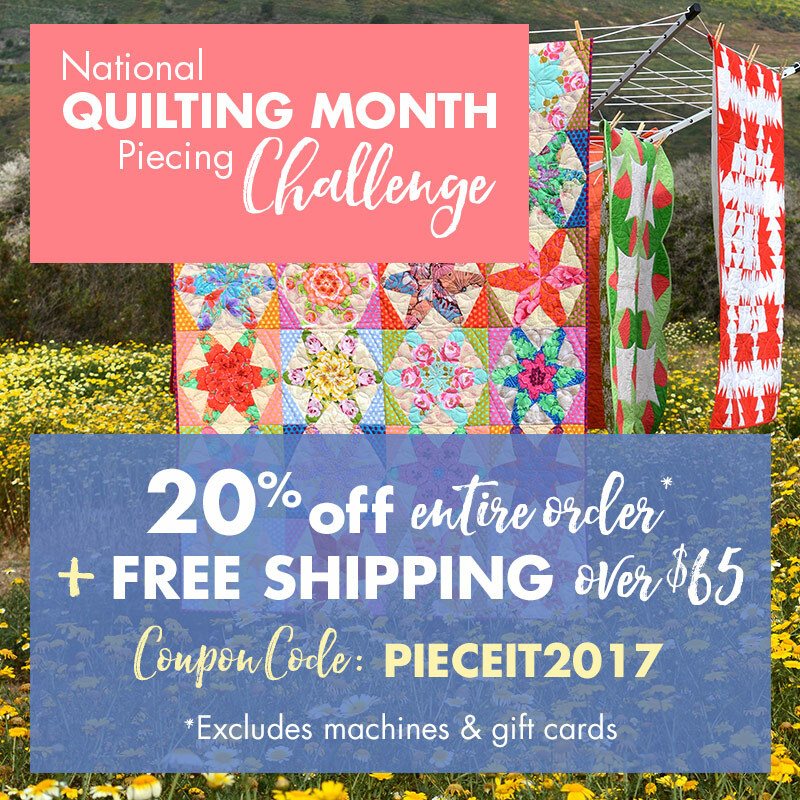 If you need quilting supplies take a look at Sizzix below! They’ve got all sorts of great deals and some really awesome tools! ​Picture Scavenger hunt: This is always a classic. Go to the mall or somewhere public (somewhere you can be embarrassed as you take awkward pictures). Give everyone a list of pictures and poses they have to complete (i.e kissing a mannequin). Whoever completes each of the pictures and makes it back to the starting point first is the winner. Sports night: Girls are good at sports too and this could be your perfect chance to prove it. Whether you put together a volleyball game at your local rec center or play foursquare in the front yard, don’t be afraid to get a little sweaty and have fun with your girls. A little healthy competition is a good thing from time to time. A Blast from the Past: With this party your mom doesn’t have to embarrass you with old baby pictures because you can do it yourself. Have dinner and invite everyone to bring a few of their favorite childhood photos. Tell stories and get to know each other on a whole new level. Chinese Takeout: This will always be one of my favorite Valentine’s Day traditions. Once a year my dad places a long board and four cinder blocks in the center of the living room. My mom brings home boxes of takeout Chinese food and my sisters and I spend the day making paper decoration. With the makeshift cinder block table my dad makes by the fireplace, we sit on the floor and tell stories. We eat Chinese food until there is no room left in our bellies for anything except a few good laughs. The whole family comes home and we have a Chinese dinner and exchange homemade valentines. All of us are grown and yet we still find our way home on Valentine’s day for this special tradition my parents started when we were young. You can incorporate this party idea into your Galentine’s party and it’s guaranteed to be a hit. Getting started: I cut out a BUNCH of hearts before I began my DIY projects. Using the Cricut design space I was able to fit 9 hearts (3.002 in x 3.394 in) and 8 smaller hearts (1.098 in x 1.241 in) onto one piece of card stock and used my Cricut machine to cut them out! It saved me so much time and made the hearts perfect, using my Cricut machine rather than cutting them by hand. Step 1: Cut your paper into fourths. 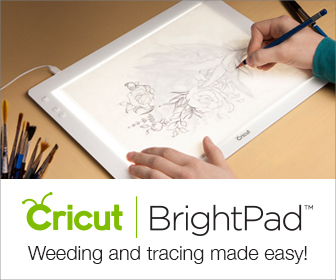 I used my Cricut paper cutter and it made it so much easier! Step 3: Glue small hearts onto the corner of each name card. Step 4: Use a brush pen to write the names of your guests. 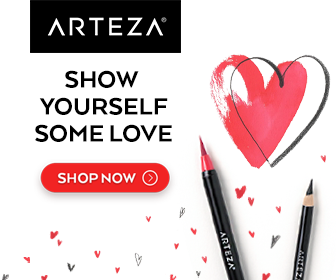 If you're looking for some great brush pens, check out these awesome pens from Arteza! Step 1: Fold and cut paper to make it a square if using 8 ½ x 11 inch paper. If you are using 12x12 inch paper you can skip this step. Step 2: Cut square paper in half diagonally. Step 3: arrange papers until you reach your desired length. Step 4: Secure papers together using glue. *You can use as many different colors as you want. I sprinkled little hearts as confetti to add some color! Required materials: Cricut machine or scissors, paper in desired color(s), and string. Step 1: Cut out hearts until you reach your desired amount. I used my Cricut for this step. On the design space they have a free heart cut out that I copied and pasted a bunch of times. It saved me a lot of time from having to cut out each heart individually. If you don’t have a Cricut machine you can always cut the hearts out by hand but this can be time consuming. It may also be difficult to get the hearts even and symmetrical for a nice clean finish when cutting by hand. Step 2: If you are using multiple colors, arrange the hearts in the pattern you like best. Step 4: Hang up wherever and however you want! Required materials: Cricut machine or scissors, paper in desired color(s), sticks or branches, vase, ribbon (optional), hot glue. Step 1: Heat up your hot glue gun! Step 3: Arrange your branches in your vase until they look the way you like it. Try to make them full by spreading them apart and avoid having too many branches on one side to make it balanced. Step 4: Arrange the hearts and glue them to your branches. When it comes to this DIY, I’ve found that less is more. I tried not to glue too many hearts too close together to avoid clutter. Step 5: Add a ribbon to your vase and put it out for everyone to see! Step 1: Use the Cricut machine to cut out hearts. If you are going to cut them out by hand, It is important that they are the same size and shape. Make sure you are using scrapbooking paper or card stock. If you choose to use a different type of paper, just make sure it isn't flimsy! Step 2: Set aside your base and then fold the rest of the hearts in half. Glue along the fold, attaching the hearts together. Step 4: place a dot of hot glue on the string, avoiding the napkin and attach your 3D heart. It’s always a nice touch to leave your guests with a little something to remember the awesome time you’ve had. Put together little gift bags full of chocolates, nail polish, or anything else you think your girls might like. Top it all off with these fun favor labels to let them know they are loved. ​I hope your Galentine’s Day party is one to be remembered. Comment below with any questions or ideas and please (pretty please) add pictures if you decide to have a Galentine’s party. I can’t wait to see what you come up with! Hi! I'm Jenneca and I love all things handmade. I'm hoping we can all use our love of crafting to share a little love and celebrate all the good things in life!